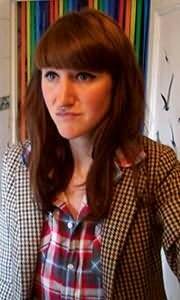 Sara Baume was born in Lancashire in 1984. She grew up in Co Cork and studied fine art at Dun Laoghaire College of Art and Design before completing the MPhil in creative writing at Trinity College Dublin. Her short stories have been published in the Moth, the Stinging Fly and the Irish Independent as part of the Hennessy New Irish Writing series. Her reviews and articles on visual art and books have also appeared online and in print. Her debut novel, Spill Simmer Falter Wither, will be published by Tramp Press next year.